Ever got really excited about meeting new people? I certainly do, so been loving creating some fantastic new networks around the globe in 2017 and I must say I love it so very much. In February I launched my Her Design Story series where I started interviewing women working on their own exciting business ventures and asking them to share their stories. Wow, I have embraced their wisdom, insight and inspiration and it has certainly made a big impact on me. Such a great read for any of you who like real and raw stories of women going for their dreams. Each week new and exciting women come on board to give us a little insight into life as a female out in the world creating a business and life that she loves.Read the stories here. 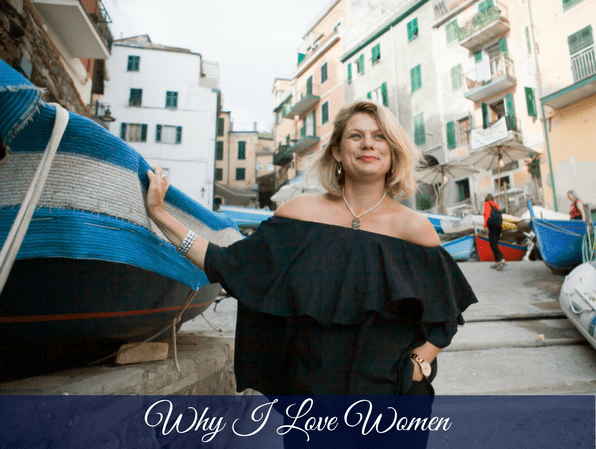 Now onto the women I have been connecting with in Italy. I’ve made such lovely relationships with some wonderful ladies doing their amazing work in an array of Italian villages and cities. The exciting part is that some of these women are now onboard with me for my Italy Tours leaving in May and I couldn’t be more thrilled to share an experience like this with them. Lisa Chiodo the Aussie expat and founder of Renovating Italy will come on board for a short stint as our Italian Lifestyle ambassador on my Italian Riviera Tour. Lisa’s the creator of Renovating Italy, a highly successful blog where she shares her life living in a medieval Borgata at the foot of the Alps in Northern Italy. Together with her husband Sam (Salvatore) and their two children, they are creating a simple life living way outside the box. Lisa will be there to share her rural lifestyle inspiration with us and encourage us to go and seek our own idea of happiness and contentment. Enter Di Mackey from Di Mackey Photography, a New Zealand expat living in the stunning city of Genoa. Di is joining us as our official photographer and local knowledge gal for the Italian Riviera Tour. The thing is we’re all about mutually working together in a spirit of harmony and friendship and the relationships I’ve made with these women have been fun and effortless just as they should be… nothing’s been hard or forced and in my opinion this a perfect way to collaborate and do business. Finally, onto the Tuscany tour. I have on board as official photographer and local knowledge gal Susan Heslington from Tuscanyvillages.com. Susan is a legend when it comes to capturing the beauty, heart and soul of Tuscan villages and as official photographer, she’ll create visual memories that we’ll have forever. Now I’m only just scraping the surface and haven’t even got to tell you about many of the others and I guess that’s for another day. With only two spots left for Tuscany and one spot left for the Italian Riviera, now is your change if your fence-sitting. So this is why I love women (….not in that kind of way). We can just learn how to easily work together without pretense. We can be real and authentic and learn how to help each other out. There is so much joy in all that I am doing, that the hard work, months of research and logistics planning is so incredibly worth it. In this life I’ve decided I’m leaving nothing on the table…I’m going for it!